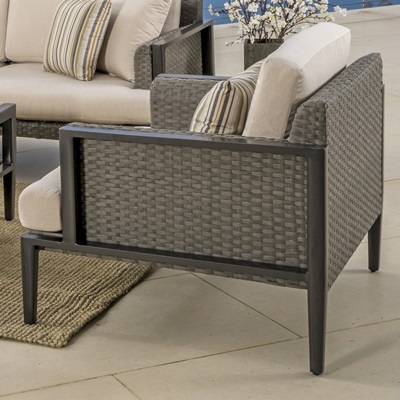 Introducing designer style and sophistication, the Vistano fire seating group offers modern style and elegance to any outdoor conversation area. 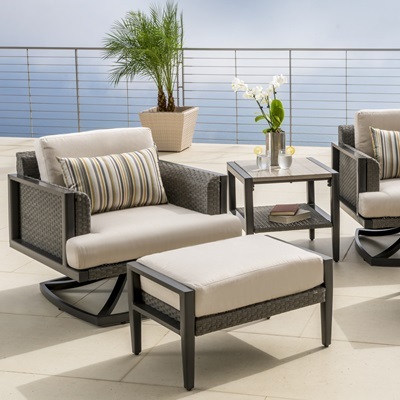 Set features deep, comfortable seating built with durable materials specifically designed for rugged outdoor use. The stone top fire table in warm Gray natural stone, features an elegant windshield designed with safety and comfort in mind. Gather around with friends and family to illuminate your evenings. Designed to coordinate with the entire Vistano Collection by RST Brands. 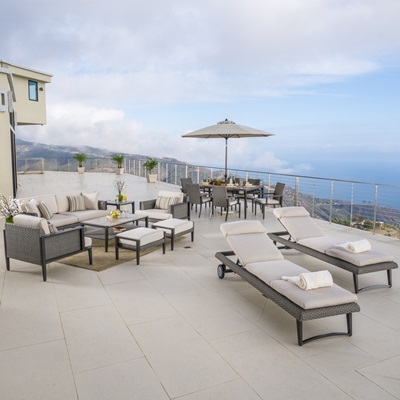 SolarFast all-weather resin wicker specially designed for outdoor use. 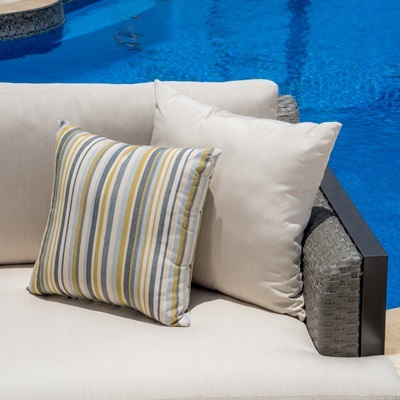 Woven over a strong and lightweight powder-coated aluminum frame.